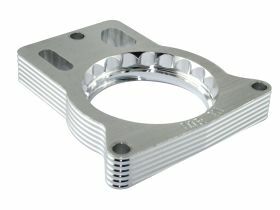 aFe 46-34001 - aFe Silver Bullet Throttle Body Spacers - FREE SHIPPING! Very easy to install, good quality and definitely got 1&1/2 to 2 mi. per gallon more. None of that loud whistle noise either. This is a great piece of equipment to give a little boost without going over the top in tricking your vehicle out. Installation was very straight foward and not to complicated. A small socket set was all I needed just using 3 socket sizes plus a little extention. I lost the gasket myself and call customer support. Replaced no problem and mailed in a few days. Very happy with the product and autoanything. 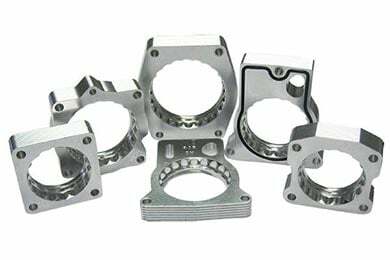 Reference # 756-090-380 © 2000-2019 AutoAnything, Inc.